A.J. Ali is a U.S. Air Force Veteran and the Director of “WALKING WHILE BLACK: L.O.V.E. Is The Answer,” an award-winning feature-length documentary film improving relations between police and people of color. He coined the acronym “L.O.V.E.,” which stands for Learn about your community, Open your heart to the people in it, Volunteer yourself to be part of the solution in their lives and Empower others to do the same. The film won Best Documentary and Audience Favorite at the Garifuna International Film festival in Los Angeles, CA and A.J. was awarded the Platinum Award by the NAACP in Howard County, MD for Contributions to the Community Through the Arts & Entertainment. The film offers a universal formula for tackling many of the challenges faced by societies throughout the world. A.J. is also the Creator, Producer and Host of Wellness 101, a TV game show based in Santa Monica, California. His first film, “Positive Choice,” which also included a mentoring component he helped design, is credited with saving the national youth soccer program “Soccer in the Streets” from extinction in the year 2000 by attracting much needed sponsors, board members, investors and marketing partners such as U.S. Soccer and Major League Soccer. 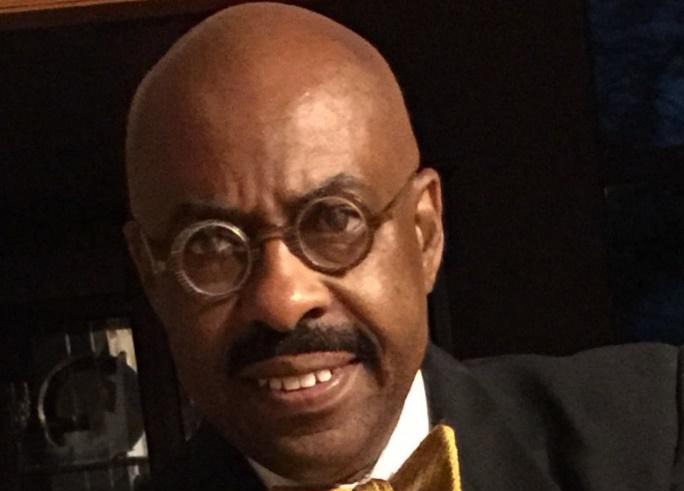 He was the Creator, Producer and Star of “Good Fellas of Baltimore,” which aired on Fox 45 TV in the Baltimore market in the Spring of 2011 and was responsible for raising more than $250,000 worth of support for charities in the Baltimore area in one year. He has produced, written and appeared in numerous commercials and PSA’s. He has published hundreds of newspaper and magazine articles. He co-authored a popular faith-based inspirational book with Vera Jones titled ”The True Champion’s 30-Day Challenge,” published in 2009. He has written two business golf books and created workshops to go along with those books. His musical work includes writing and producing the cancer survivor anthem "Through the Darkness, Into the Light" and producing the Hollywood FAME Award-winning compilation music CD "Survivor Celebration" to benefit breast cancer survivors. Former Mayor Omar Neal possesses an exemplary and veritable career in leadership both in the private and public sector. Omar Neal is a distinguished graduate of the Montgomery Police Academy. Former Mayor Neal’s career includes him serving as a policeman as well as a juvenile court counselor. He also penned the proposal that established the Youth Aide Division of the Tuskegee Police Department, subsequently serving as the department’s founding director. Omar has the distinction of helping to craft the L.O.V.E. Is The Answer workshop curriculum and becoming the first L.O.V.E. Is The Answer Master Certified Trainer in the world (a title bestowed upon those who have facilitated at least 1,000 hours of L.O.V.E. Is The Answer training with at least a 95__5_5_5__ satisfaction rating). If motivation is the electrical power that activates the engine of success, then Omar Neal is the personification of a mighty motivational machine. Arrayed with the God-given ability to mobilize, empower and motivate people from all walks of life to reach their greatest level of excellence, Omar Neal takes pride in positively impacting the lives of those whom he has the opportunity to reach. Thousands have completed his training classes which are designed to empower business leaders, high-potential managers, and key professionals to rise to the challenges of their diverse environment. Mr. Neal is engaged by professionals whose career paths present them with challenging promotions, organizational shifts, or communication conflicts that demand exceptional leadership qualities. 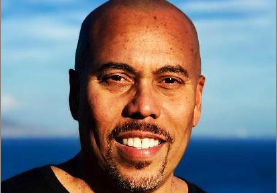 Omar Neal coaching is grounded in incisive analytic skills that are informed by creativity, along with perceptive candor rooted in a passion for mentoring. Attendees of YGTP workshop unanimously agree that the workshops are a life changing experience and exceed their expectations. Participants regularly express that these learning principals are easily integrated into their daily workplace interactions as well as their personal and professional relationships. The Honorable Omar Neal served as Mayor of the historic city Tuskegee, Alabama from November 2008 to November 2012. He also served as a Macon County Commissioner from 1996-2000. The in-depth conversations held with hundreds of top level professionals give Neal a heightened understanding of the thinking, behaviors and skills that are needed for effective leadership. Neal received his B.S. degree from Tuskegee University in business administration. He earned his master’s degree in Public Management from Troy University and also completed the Harvard University Kennedy School of Government’s Executive Education program in State and Local government. In addition, Neal completed the Delta Leadership Institute, which is sponsored by the Delta Regional Authority in partnership with the College of Continuing Studies at the University of Alabama. Former Mayor Omar Neal possesses an exemplary and veritable career in leadership both in the private and public sector. If motivation is the electrical power that activates the engine of success, then Omar Neal is the personification of a mighty motivational machine. Arrayed with the God-given ability to mobilize, empower and motivate people from all walks of life to reach their greatest level of excellence, Omar Neal takes pride in positively impacting the lives of those whom he has the opportunity to reach. Thousands have completed his training classes which are designed to empower business leaders, high-potential managers, and key professionals to rise to the challenges of their diverse environment. Mr. Neal is engaged by professionals whose career paths present them with challenging promotions, organizational shifts, or communication conflicts that demand exceptional leadership qualities. Omar Neal coaching is grounded in incisive analytic skills that are informed by creativity, along with perceptive candor rooted in a passion for mentoring. Attendees of YGTP workshop unanimously agree that the workshops are a life changing experience and exceed their expectations. Participants regularly express that these learning principals are easily integrated into their daily workplace interactions as well as their personal and professional relationships. The Honorable Omar Neal served as Mayor of the historic city Tuskegee, Alabama from November 2008 to November 2012. He also served as a Macon County Commissioner from 1996-2000. The in-depth conversations held with hundreds of top level professionals give Neal a heightened understanding of the thinking, behaviors and skills that are needed for effective leadership. Neal received his B.S. degree from Tuskegee University in business administration. He earned his master’s degree in Public Management from Troy University and also completed the Harvard University Kennedy School of Government’s Executive Education program in State and Local government. In addition, Neal completed the Delta Leadership Institute, which is sponsored by the Delta Regional Authority in partnership with the College of Continuing Studies at the University of Alabama. Nathaniel Alston is the President & Founder of THE HORIZONS GROUP, Inc., a human capital consulting firm specializing in human resources strategic planning, succession planning, talent acquisition, executive search, business coaching, and management/leadership development training. Nat has over 40 years of executive level and mid-level human resources experience in a variety of positions covering such industries as financial services, health care, hospitality, food service, food distribution, and higher education, local and state government. Prior to the December 2000 founding of The Horizons Group, Nat was the Vice President of Human Resources for State Employees Credit Union of Maryland. In that capacity he directed the overall human resource function for the largest credit union in the State of Maryland. With over 450 employees and one billion dollars in assets, Nat was part of the senior management team that set the strategic direction for the credit union. Before joining SECU, Nat was the Regional Director for Human Resources for Service America Corporation, a major food service contractor. In that capacity, Nat supervised a team of 4 and was responsible for the company’s largest regional human resources function, which consisted of approximately 8,000 employees in 16 states. Nat has been employed by The Marriott Corporation as Corporate Manager of Employee Relations and Manager of Employment, by Holiday Inns, Inc. as Manager of Employment, by Baptist Memorial Hospital Health Care System as Manager of Human Resources, by PYA Monarch a division of Sara Lee Corporation as Manager of Corporate Employee Relations, and by The HBH Corporation as an Overseas Recruiter. Prior to entering corporate America, Nat spent 10 years in Law Enforcement serving as a Maryland State Police Officer, a Prince George’s County Police Officer and as Director of Public Safety, Bowie State College (now Bowie State University). In 1998, Nat along with twelve other senior human resources’ executives founded the National Association of African Americans in Human Resources. In 2001 he was elected as the National President. This is an organization which represents over 15,000 African American Human Resource professionals in 30 cities. In 2007 Nat was bestowed the Lifetime Member Emeritus designation of the organization. In 2013, Nat was elected Chairman of the National Board of Directors of the National Association of African Americans in Human Resources. Nat was also the 2010 – 2012 President of The University of Maryland University College National Alumni Association. The Alumni Association represents over 120,000 UMUC Alumni. Nat is the President & Founder Ujamaa Business Network, a board member of the Reginald F. Lewis Museum and the Chair of the Howard County Maryland Equal Business Opportunity Commission. Nat was a weekly contributor to radio station WEAA, Morgan State University on Mondays on the Sandy Mallory Show with his “Tips to Elevate Your Career” and a frequent presenter at the “Moneywise Empowerment Seminars “with Kelvin Boston. He has spoken before numerous Civic Organizations, Colleges, and business organizations. Nat received his undergraduate degree from the University of Maryland University College. Former Mayor Omar Neal possesses an exemplary and veritable career in leadership both in the private and public sector. Omar Neal is a distinguished graduate of the Montgomery Police Academy. Former Mayor Neal’s career includes him serving as a policeman as well as a juvenile court counselor. He also penned the proposal that established the Youth Aide Division of the Tuskegee Police Department, subsequently serving as the department’s founding director. Omar has the distinction of helping to craft the L.O.V.E. Is The Answer workshop curriculum and becoming the first L.O.V.E. Is The Answer Master Certified Trainer in the world (a title bestowed upon those who have facilitated at least 1,000 hours of L.O.V.E. Is The Answer training with at least a 95% satisfaction rating). If motivation is the electrical power that activates the engine of success, then Omar Neal is the personification of a mighty motivational machine. Arrayed with the God-given ability to mobilize, empower and motivate people from all walks of life to reach their greatest level of excellence, Omar Neal takes pride in positively impacting the lives of those whom he has the opportunity to reach. Thousands have completed his training classes which are designed to empower business leaders, high-potential managers, and key professionals to rise to the challenges of their diverse environment. Mr. Neal is engaged by professionals whose career paths present them with challenging promotions, organizational shifts, or communication conflicts that demand exceptional leadership qualities. Omar Neal coaching is grounded in incisive analytic skills that are informed by creativity, along with perceptive candor rooted in a passion for mentoring. Attendees of YGTP workshop unanimously agree that the workshops are a life changing experience and exceed their expectations. Participants regularly express that these learning principals are easily integrated into their daily workplace interactions as well as their personal and professional relationships. The Honorable Omar Neal served as Mayor of the historic city Tuskegee, Alabama from November 2008 to November 2012. He also served as a Macon County Commissioner from 1996-2000. The in-depth conversations held with hundreds of top level professionals give Neal a heightened understanding of the thinking, behaviors and skills that are needed for effective leadership. Neal received his B.S. degree from Tuskegee University in business administration. He earned his master’s degree in Public Management from Troy University and also completed the Harvard University Kennedy School of Government’s Executive Education program in State and Local government. In addition, Neal completed the Delta Leadership Institute, which is sponsored by the Delta Regional Authority in partnership with the College of Continuing Studies at the University of Alabama. Former Mayor Omar Neal possesses an exemplary and veritable career in leadership both in the private and public sector. If motivation is the electrical power that activates the engine of success, then Omar Neal is the personification of a mighty motivational machine. Arrayed with the God-given ability to mobilize, empower and motivate people from all walks of life to reach their greatest level of excellence, Omar Neal takes pride in positively impacting the lives of those whom he has the opportunity to reach. Thousands have completed his training classes which are designed to empower business leaders, high-potential managers, and key professionals to rise to the challenges of their diverse environment. Mr. Neal is engaged by professionals whose career paths present them with challenging promotions, organizational shifts, or communication conflicts that demand exceptional leadership qualities. Omar Neal coaching is grounded in incisive analytic skills that are informed by creativity, along with perceptive candor rooted in a passion for mentoring. Attendees of YGTP workshop unanimously agree that the workshops are a life changing experience and exceed their expectations. Participants regularly express that these learning principals are easily integrated into their daily workplace interactions as well as their personal and professional relationships. The Honorable Omar Neal served as Mayor of the historic city Tuskegee, Alabama from November 2008 to November 2012. He also served as a Macon County Commissioner from 1996-2000. The in-depth conversations held with hundreds of top level professionals give Neal a heightened understanding of the thinking, behaviors and skills that are needed for effective leadership. Neal received his B.S. degree from Tuskegee University in business administration. He earned his master’s degree in Public Management from Troy University and also completed the Harvard University Kennedy School of Government’s Executive Education program in State and Local government. In addition, Neal completed the Delta Leadership Institute, which is sponsored by the Delta Regional Authority in partnership with the College of Continuing Studies at the University of Alabama.